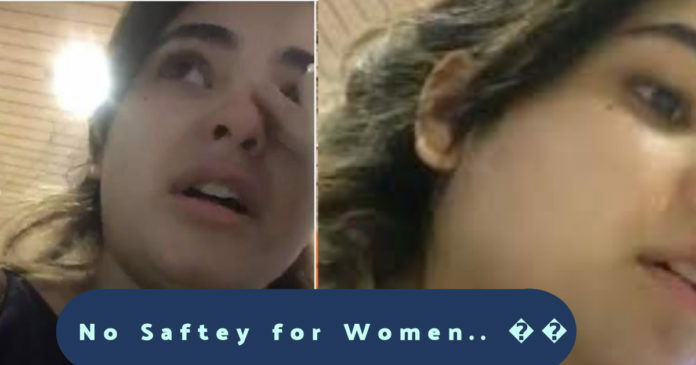 Zaira Wasim Molested On Flight, Is There Any Safety For Women? Dangal girl Zaira Wasim had an ugly experience on her way to Mumbai from Delhi. Zaira Wasim travelled with Vistara airlines when this incident happened. Zaira Wasim narrated this horrifying experience on an Instagram story and also posted a video where she was in tears. “Guess he couldn’t sit like a civilized human being and placed his foot on my arm rest while he’s fully phelaoed his body on his seat”. Here are the videos that are on Instagram. Vistara airlines took their Twitter account to reply Zaira Wasim. We @airvistara have seen the reports regarding @ZairaWasimmm experience with another customer on board last night. We are carrying out detailed investigation and will support Zaira in every way required. We have zero tolerance for such behaviour. Mumbai police on Sunday filed an FIR.The case has been registered under Section 354 (assault or criminal force to woman with intent to outrage her modesty) of the Indian Penal Code (IPC) and the POCSO Act. Stay tuned for more details and updates on Bollywood happenings. Previous articleHate Story Actress Gets Married To Businessman – Married For Money?